Cassis is a small fishing port and town on the Cote d'Azur east of Marseille. 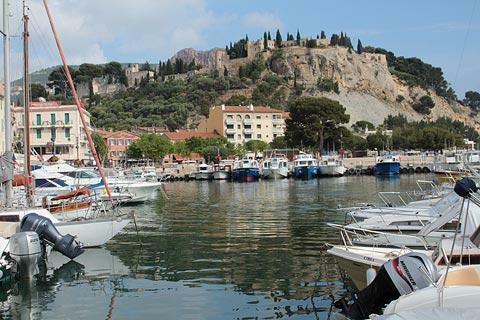 The principal appeal of Cassis is its picture postcard harbour, and the very impressive position in which it is located with tree-dotted cliffs rising on both sides of the town, and equally to the access it provides to stunning local attractions. The town falls within the boundaries of the recently created Calanques National Park. 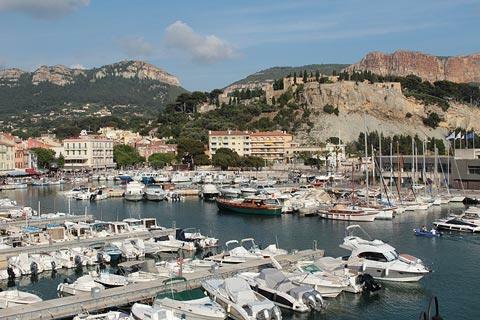 The local wines from Cassis, especially the white wines, are also very highly regarded. It is of course produced from the many vineyards you can see around the town! Unfortunately parking is mostly difficult and/or expensive in Cassis. The Viguerie and Mimosas car parks is the closest to the town centre but the others are significantly less expensive, which is especially important if your hotel has no parking and your car will be here a number of days. The Gorguettes parking is free (except winter) and carries passengers to the town centre on a shuttle bus. 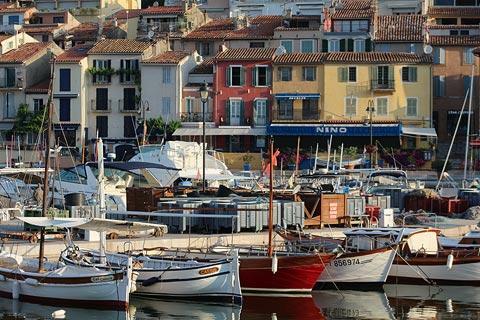 Your visit will undoubtedly start with a walk around the waterfront in Cassis. 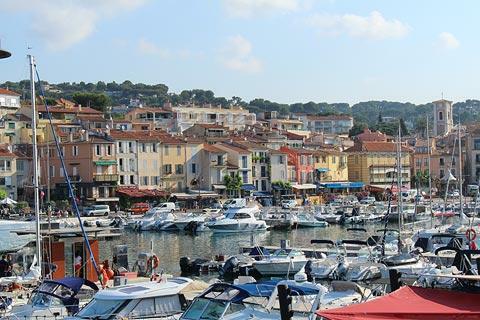 The harbour is filled with boats and lined with attractive traditional pastel painted buildings and plenty of bars and restaurants and you could easily spend an afternoon just strolling around the harbour and enjoying a coffee break or lunch. 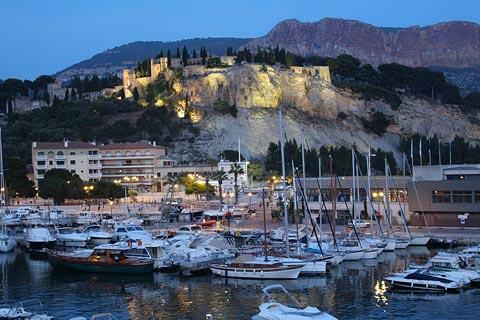 You can visit Cassis tourist office on the southern side of the harbour for information about the town, local sightseeing and events, and the ticket office for boat trips to the calanques is also near the tourist office. Walk further along this side of the harbour as far as the Statue of Calendal for the best views across the water to the colourful houses. 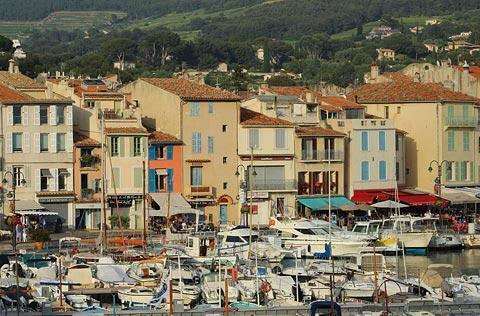 As well as strolling around the harbour you should also explore the streets in the town and up the hill behind the seafront, where highlights include the Church of Notre-Dame de-Bon-Voyage (19th century), the 17th century Town Hall, and some impressive town houses such as the Villa l'Ariane which now houses the town library. 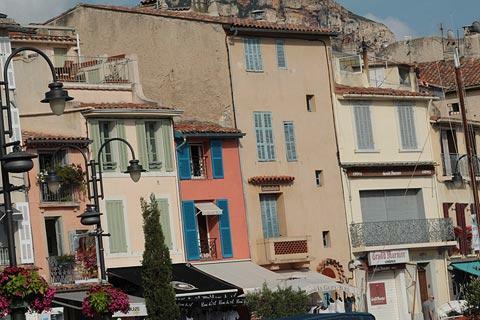 Although the fishing village has medieval origins most buildings in the town date from the 17th and 18th century when a large part of Cassis was rebuilt. You will also notice several traditional Provencal stone fountains, two or three small chapels and some small oratories as you explore: individually not particularly exciting perhaps but together they all contribute to the charm of the village. 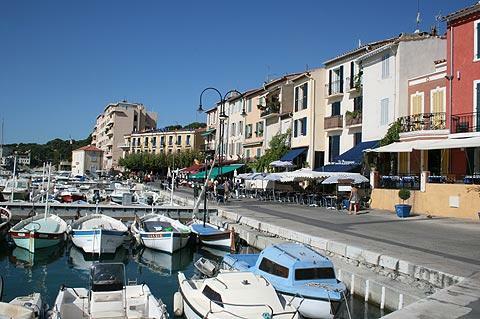 There is also a small museum in Cassis dedicated to the history of the town and region. 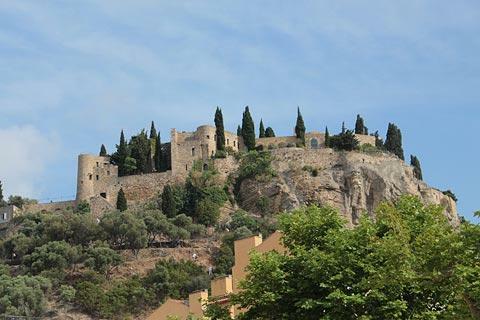 You can walk up the hill to the south-east to see the substantial remains of the medieval castle, the Chateau des Baux, built in the 14th century, and for a nice view across the town and along the coast although the castle itself is not open to the public (it is now a hotel). 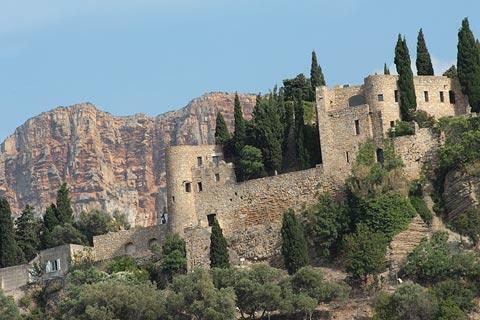 The Villa Mauresque next to the castle is one of the most impressive in Cassis. If you want a relaxing introduction to the town as well as the Port-Miou peninsula without walking too far in the heat there is a tourist train that costs eight euros and takes 40 minutes and leaves from the sothern side of the harbour and is a good introduction to Cassis that also includes a photo stop at the calanque of Port-Miou: this is good value for money since it will take you a long time to walk here on a hot day! There is a sunny beach in the centre of Cassis called the Plage de la Grande Mer, with the cliffs as a perfect backdrop. This main beach is a mix of sand and pebbles, while the other small beaches close to the town are rockier and also quieter: these include the plage du Bestouan at the base of Cape Canaille and the two small beaches at Anse de l'Arène and Anse du Corton. 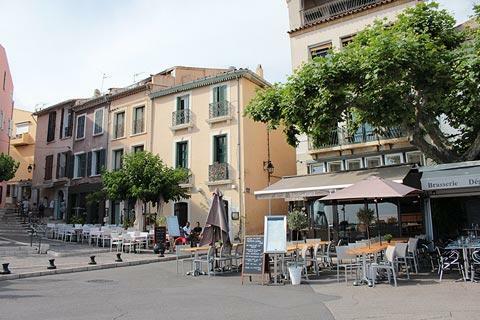 This attractive combination of town, beach and surrounding scenery has long attracted artists here, with famous 20th century artists including Georges Braque, André Derain and Raoul Dufy among those who spent time here. Note: an important festival dedicated to fishers is held here on the last weekend of June each year, when the port area becomes very lively. 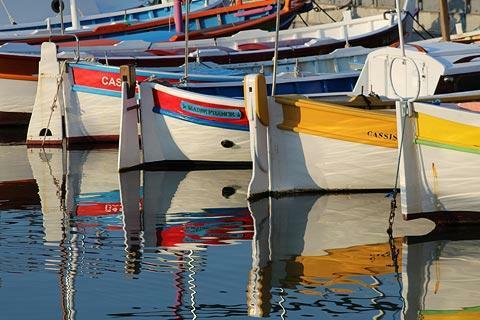 Apart from exploring Cassis itself, be sure to find time for a couple of trips out from the town to the protected natural sites to either side of the port. The Route des Cretes is a dramatic road that follows the clifftops to the south-east towards the harbour town at La Ciotat and is an unmissable excursion with great views out to the sea and along the headland of Cap Canaille, the highest coastal cliffs in France. The road is also a popular cycle route along the coast. To the west of Cassis are the Calanques of Marseille - cliffs that plunge dramatically into the turquoise sea below - these are also unmissable! 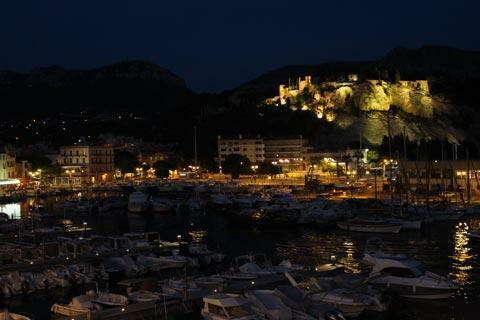 Best seen by boat-trip leaving from Cassis harbour (one of our favourite trips along the Mediterranean coast). 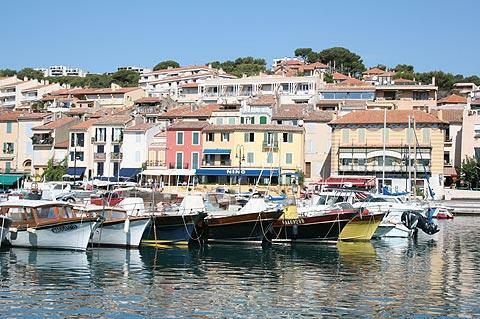 The first calanque to the south-west of Cassis contains the pleasure port of Port Miou. There are also footpaths that permit access and alternative viewpoints of the calanques. These are equally picturesque but vary a lot in how difficult they are and when they are open to the public (the paths are often closed in summer because of fire risk and in high winds because of the danger) so you should ask in the tourist office for up to date information. The most popular trail goes to the Calanque d'En Vau via the Calanque de Port Pin, about 1 hour 30 minutes from the centre of Cassis.